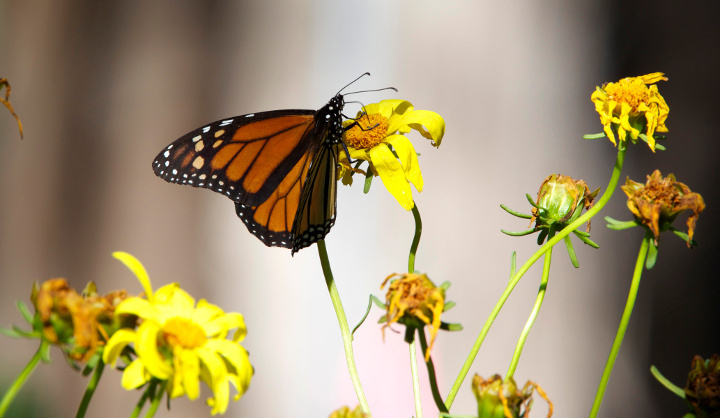 Monarch feeding on Giant Coreopsis Flower, December 2012. Photo by Kingston Leong. Giant coreopsis plants in the main cluster arena provide nectar and hydration for the overwintering monarchs. Last updated 24 May 2013.